NOTE: This article is NOT about drug-induced psychedelia, but about the natural psychedelic state of consciousness, as accessed through the process of self-actualization. Gowan himself decried the use of drugs, and likewise considered magic and the occult as developmental forcing and considered both highly dangerous pursuits. We can hark back for more than nostaligia to the classic chronicles of the psychedelic revolution. In 1974, creativity expert John Curtis Gowan, (Professor Emeritus, California State University, Northridge, California) published, DEVELOPMENT OF THE PSYCHEDELIC INDIVIDUAL: A Psychological Analysis of the Psychedelic State and Its attendant Psychic Powers. Gowan extracts the philosophical gold from such X-Events or "extreme events". This article is not about drug-induced psychedelia, but about the natural psychedelic state of consciousness, as accessed through the process of self-actualization. Gowan's orientation is summarized, including his concepts of escalation and developmental dysplasia, and the creation of the Northridge Developmental Scale, a test for self-actualization. The commentary includes: 1). contemporary observations on the psychedelic stage in drugless experiential therapy, ("drug-free shamanism") for a current approach to Gowan's work, and 2). the qabalistic Tree of Life as an ancient map of consciousness and model of developmental escalation, interpreted in Gowan's terms with historical perspective. Jung popularized Alchemy as another model of transmutation and transformation. Chakras are a yogic model of development not covered here; likewise, the spiritual psychology of Tibetan Buddhism. Gowan's work and taxonomies remain useful to the transdisciplinary community, including the fields of parapsychology, paranthropology, consciousness studies, psychotherapeutics, neurobiology, psychology of religion, neurotheology, child development, and more. In developing creative talent, imagery is more fluid and malleable to processing than language. He collates research from several then-new fields and provides valuable bibliographies of foundational works. While not widely known and applied, Gowan's work remains a vital resource, deserving curation within the literature of all sciences researching psi, nonordinary, and exceptional experiences (anomalous, transpersonal; neither or both). Gowan's work is invaluable for navigating the universe of meanings. Symbols are the currency of consciousness. They open the way for "ultraculture", wherein we become conscious co-creators of reality. Keywords: John Curtis Gowan, psychedelic, developmental dysplasia, states of consciousness, Piaget, Erickson, Maslow, Krippner, self-actualization, immersion, emergence, nature-mystic, personality traits, developmental theory, human potential, Northridge Developmental Scale, symbolism, alchemy, physics, psyche, anthropological matrix, structure of religious apperception, celestial ascent, spiritual unfoldment, mystical yearning, ritual initiation, theurgy, conceptual framework, . Almost 40 years ago, this classic work in interdisciplinary consciousness studies was printed for the Creative Education Foundation for the 20th Annual Creative Problem-Solving Institute, Buffalo, N.Y., June, 1974. It outlines the emergent traits and experiences possible in the course of extraordinary human development, particularly for gifted children and gifted adults. It traces developmental stages of integrative growth in the relationship between the individual ego and the collective preconscious, which underlies creativity and psychedelic or mind-expansion functions. The work is based in the idea that the preconscious is involved in a developmental process which starts with anxiety and ranges to creativity through well-known stations on the continuum of mental health. In the 1980s, therapists were hearing mostly about "dysfunctionality", as the public discovered the recovery movement. It was refreshing to hark back to the idealistic notion of optimizing human growth potential. When public interest centered around the "Inner Child", some therapists were saying "Yes, but what about the Adult?" Today we might ask, "What about becoming more 'fully human' before humanity veers off into transhumanism?" While Gowan may have had some pretensions to being creative, he made no claims of psychedelic experience. His work suffers only from this objectivity. Most of today's psychedelic literature describes subjective immersive entheogenic experience, or therapeutic research with drug use. Gowan's nonordinary research remains objective, well-cited and less-concerned with the drug experience than extraordinary emergent potential. It provides answers to the question, "How do you do it without drugs?" Gowan expanded the human-cosmic continuum of the developmental process outlined by humanistic psychologists (Erikson, Maslow, Rogers, Piaget). He included mystical / transpersonal states of consciousness and their attendant phenomena, including those occurring naturally, through meditation, and as the result of drug ingestion. Gowan's use of "psychedelic" is not synonymous with "drug related or induced". His overview on practices and technologies for accelerated psychological and spiritual development. includes the work of James, Kubie, Sullivan, Tart, Masters and Houston, De Ropp, and Krippner, among others. He addresses topics including trance, dreams, art, myth, coincidence, telepathy, precognition, psychokinesis, healing, apparitions, reincarnation, out-of-body experiences, creativity, and extraordinary states of consciousness. Before "self esteem" became a buzz-word for the 90s, he defined a developmental continuum with equally vital dimensions of cognition and affect, rational and emotional development. He emphasized that development stabilized when cognitive and emotional development kept pace with one another, even if they emerge in an asynchronous manner. Perhaps even more importantly, he surveys the positive and negative effects of natural escalation compared with developmental forcing on subsequent emergence of creativity and personality change. Further, he constructed a psychological test measuring the process/goal of self-actualization. In 1972, the Northridge Developmental Scale <http://www.csun.edu/edpsy/Gowan/northp.html > was bootstrapped from the Personal Orientation Inventory (Shostrum, 1966) and other measures of self-concept, emotional morale and psychological well-being. Gowan proposed three modes of cognition: prototaxic, parataxic, and syntaxic, which he amplified under the popular terms of trance, art, and creativity. He embedded markers for such development into his test. They indicate the styles and degree of immersion or cooperation between the ego and the preconscious. The three functional and perceptual modalities range in effects from dissociation, to propitiation, to conscious contact with the irrational and numinous element -- from unconscious instinctual response, to (usually symbolic) self-conscious ego processes, to inner, paranormal "uncanny" aspects. Thus, he defined a full spectrum of human functionality and paranormal states, extrasensory interactions, or nonordinary experiences. But the meaning needs to arise within the event, not the category of the event. A truly metaphysical experience in every sense of the word, introduces the bodymind into a new state. Gowan's major works, including THE DEVELOPMENT OF THE CREATIVE INDIVIDUAL (1972), DEVELOPMENT OF THE PSYCHEDELIC INDIVIDUAL (1974), TRANCE, ART, AND CREATIVITY (1975), and OPERATIONS OF INCREASING ORDER (1980) express his continued interest in the spectrum of human consciousness potential and the defining of a relative taxonomy of such states. Though excellent, these works were not widely circulated and they remained somewhat difficult to find, particularly outside of academic circles. Thankfully, his son J. A. Gowan. published them online, so they are available for researchers. J.C. Gowan's lifework led him to the notion of a developmental order within states of consciousness. This order (see Chart 1) includes three cycles (latency, identity, creativity) revolving around issues of trust, autonomy, initiative, industry, identity, intimacy, and generativity. Breeches of this order lead to a relative displacement of emotional and mental well-being which can inhibit or prevent integration. Gowan used the work of Piaget to define the rational development of the mind, and that of Erikson to chart emotional development. Usually the cognitive level lags a stage or two behind the emotional; but others are emotionally stunted or frozen in their development. Our modern society calls this condition dysfunctionality, inability to consistently function in an age-appropriate manner. It is a dissonance between rational and emotional dynamics resulting in self-defeating or self-destructive tendencies. Gowan called it dysplasia, developmental arrest which holds back self-actualizing potential. Escalation implies raising the level of action by acceleration or discrete jumps--quantum leaps in consciousness. Accessing latent energy resources escalates development from one level to the next. Discontinuity is a requisite for change. Gowan defined developmental forcing as trying to escalate or accelerate from a given stage to more than one stage higher through mechanical or artificial means. He likened this forcing to developmental abuse: trying to use characteristic powers or fruits of a given stage for display purposes when the individual is actually engaged in tasks of an earlier stage. Relative dysplasia results from not keeping up with developmental tasks--failure to escalate. But in developmental forcing an individual is exposed to experiences or tasks for which they are developmentally unprepared, and forced to attempt or react to them. Conversely, those who are well-adapted for their age can become stuck at any level of particular success. He notes that most mature adults become emotionally arrested at the level of vocational fulfillment, financial success, and happy marriage. Another stall may occur as the psychedelic nature-mystic experience where nature is enjoyed for its own sake. Success at any stage of development may promote the desire to continue at play rather than integrating the lessons learned into the task of the next stage. Further development is an evolutionary task/opportunity. This notion fit well in the psychological context of its time -- the human potential movement with its accent on growth and linear movement toward perfection or some other process of ever-elusive "salvation." It is consistent with classical Jungian psychology and humanistic psychology, and the general scientific paradigm of its time. Current notions in new generation Jungian thought (archetypal and imaginal psychology), experiential process work, and even process theology, are less focused on the developmental perspective of the coping heroic ego -- becoming -- and more focused on the ground state of Being, the dynamic Void or naked reality. The older view seems to under-emphasize the initiatory capacity of these breakthrough experiences, expressed in our cultural history by 50,000 years of shamanic art and accident. A course-correction here in conceptualization could include what we have subsequently learned over the years about complexity, chaos theory, and the nonlinear dynamical field. The difference is one of ego control compared with "letting go" and trusting the natural process: ego strength or flow/fluidity. The new paradigm--which embraces chaos--is expressed in science and psychology in such notions as complex non-linear dynamics, punctuated equilibrium, emergent creativity, and self-organization. Operations of increasing order automatically lead to entropy, which facilitates the breakdown of old forms including outworn personality traits and states of consciousness. Experiences of the complex interplay of chaos and order are the instrument of all development as well as that of the "psychedelic individual." Self-initiation through the inner guide (happenstance or intent) often leads, in a person with latent shamanic tendencies, to self-induced "shock-treatment," the results of which the person is subsequently forced to confront in daily life. Two commonly employed mechanical means are drug use and marathon meditation, either of which can force escalation beyond normal social developmental stages. Even in those with a poor social foundation, this "forcing" may crystallize a spiritual or inner-directed behavior which conditions or balances the individual in the short- or long-run. Thus, a dynamic if chaotic "path" or direction of development is chosen. The more definitive the commitment, the clearer the emergent non-linear path and creativity. Gowan did allude perhaps to a dynamic interplay within the transformative process. Within each transition, he identifies certain components of change: succession, discontinuity (discontinuous equilibration), emergence or budding, differentiation or metamorphosis, and integration or creative repatterning. Together they define phases of developmental escalation, or shifting to a higher gear for more efficient use of available energy. that the stabilization and mental health of the preconscious is the key factor in creative output and developmental progress. Gradually, the traumatic impact of the encounter between conscious and unconscious diminishes as the individual develops. The person learns how to handle issues of identity, love or intimacy, and finally death. Encounters with the "not-me" symbolize and express death of the ego, and prepare one for physical death by de-emphasizing sensory input. Rather than becoming traumatically overwhelmed, the personal identity expands to experience full emotional and cognitive acceptance of both freedom and responsibility. Pushing on our boundaries, we run the risk of rupturing our sense of identity. This is why the concept of a free creativity is always associated with the genuine danger of a "treasure hard to attain." Peak experiences of creative possibility can lead to self-fulfillment or self-destruction. Mystic atonement crowns the quest after lower developmental needs have been satisfied. Gowan, seemingly a humanist, asserts that the proper use of the awesome power of the psychedelic stage is "to protect and preserve those objects of individual man's self-concept starting with the health and welfare of his body image, and then extending outward to his invironmental self and its possessions, his loved ones, his associations and interests, his concerns and finally his total environment and his creations, thus embracing all of his natural world." The small ego diffuses through cosmic expansion of the hierarchy of needs toward an enlarged sense of Self. According to Gowan, "man's highest purpose is not to experience the world of the senses as a reactive being but to design it...to become part of the noumenon of the universe ... co-creator...co-designer." The concrete result is manifested and becomes perceptible. This creative visualization cycle has become one of the foundation principles of New Age thought. Essentially, this same process is echoed in the transformational realities of experiential psychotherapy. Though it is arguable that there is no classical shamanism without mind-altering plants, therapy provides a perhaps more accessible form of "drug-free shamanism" as a socially-sanctioned alternative. This sanction and external guidance do little to muffle the profound effect on participants in experiential journeys into the depths and heights of their souls. The dangers are still real, for our fears and taboos are rooted in our personal belief systems, within our deep existential core. The navigational help of an experienced guide mitigates the fears and defenses which prevent us from plunging into these depths on our own. A primary value of consciousness journeys or soul journeys is the recapitulation and symbolic reiteration in an almost fractal-like manner of our entire evolutionary and developmental history. Multisensory imagery is the language of discovery. Deep imagery approaches to therapy may provide a means for greater theoretical integration within integrative healthcare. We can produce organically-arising metaphors from within that function as healing devices. We give meaning to the most important and complex aspects of our lives through metaphor. Metaphors work within a person's own symbolic representation of their problem or issue. It mediates the interface between the conscious and unconscious mind. As George Lakoff and Mark Johnson conclude, in Metaphors We Live By: "Metaphors are not mere poetical or rhetorical embellishments ... [they] affect the ways in which we perceive, think and act . Reality itself is defined by metaphor." Thus any journey can reorganize symbolic perceptions, incorporate and modify imagery from all the developmental stages, depending on a wide variety of states of identification and dissociation. Through this means interior processes are deepened, and psychedelic consciousness naturally emerges with its attendant features. As the process unfolds, symptoms are healed in the metaphorical mindscape when new information becomes available to the client, enabling them to unstick stuck states, make new choices and change behaviors. Such methods are emergent, systemic, and iterative ways of facilitating the therapeutic process. It is often felt during the resolution or healing phase of the session as profound serenity and a sense of enlargement and communion. As healing continues (the physical form of creativity), the emergent psychedelia of the sessions becomes more generalized throughout daily life. Each developmental advance involves the increased cognitive confluence with an understanding of this deepening interior process. By closing the gap between unconscious emotions and "acting out" with rational understanding of the roots of attitudinal and behavioral patterns, therapy facilitates healing of dysplasia and existential, mental, and emotional faculties. Cognitive dissonance is healed when our self-concept stands up to consensus reality checks and our thinking and feeling are in harmony; our existential reality matches our perception. Head and heart cooperate, rather than tearing us in two. As most therapists will testify, we usually know what is "right" to do, but we tend to do what we feel like doing, even when it is self-defeating. When we consciously will our attention inward in a safe, therapeutic setting, experiences emerge through process work which are virtually identical to natural psychedelic experiences. 7) some kind of change in the subsequent personality, behavior or artistic product after the rapture is over. There are phenomena common to the psychedelic experience, mystical states, and process work. They are typically the same, because the process/goal is the same no matter what means we use to facilitate expansion of consciousness. As the ego goes through its symbolic death throes images of dismemberment and dissolution prevail. The corresponding physical unstressing manifests as completely involuntary, unintended, spontaneous muscular-skeletal movements and proprioceptive sensations: momentary or repeated twitches, spasms, tingling, tics, jerking, swaying, pains, shaking, aches, internal pressures, headaches, weeping, laughter, etc. Visceral experiences range from extreme pleasure to acute distress. They may include bristling of the hair, perspiration, and burning sensations. Developmental forcing is felt as a shock, psychic jolt, or jerk. On the other hand, mystic ecstasy brings feelings of serene delight, sensations of the remoteness of physical surroundings, and transpersonal ecstatic exaltation beyond words. Cosmic expansion brings psychic phenomena in its wake. Yogis caution that these siddhis are epiphenomena--powers which are actually obstacles to further enlightenment. Beneficial contact comes through interpenetration of the pre-conscious and conscious mind. Mead (1993) reports that meditation has a definite down side for some individuals. Rather than promoting relaxation, it leads to stress, anxiety, depression, and even panic attack. "Relaxation induced panic" manifests as muscular tension, racing heart, head pain, and perspiration. Schizophrenic breakdown has been triggered by meditation, as well as psychogenic illness, and suicidal tendencies. Typical side effects include sore throats, muscular cramps, tingling or stinging sensations (localized or general), feelings of heaviness or weightlessness, floating sensations, outbursts of laughter or crying, mood swings, involuntary sighing, sweating, trembling, and shivering. All of these manifestations appear in experiential journeys. When the sensations are validated and deepened they transform, and the journeyer is transformed with them. Experiential therapy, like meditation is not a form of relaxation, but actually an activity of attention and concentration, which raises our innate level of spiritual energy (chi, kundalini, Shekinah, "the Force," etc.) with a body/mind altering effect. Once this force is aroused, it is unpredictable just how it will effect the mental, physical, and emotional states. This is the hero's journey into consciousness transformation, the age-old quest. Gowan himself decried the use of drugs, and likewise considered magic and the occult as developmental forcing and considered both highly dangerous pursuits, so he excluded them from his anecdotal reports of expanded states of consciousness. Because of this attitude, he was unfamiliar with Qabala, yet his descriptions of certain stages of development fit the key elements and essence of the Spheres on the "Path of Return", as this article describes. We have examined some conceptual advances which emerged after Gowan's publication. However, even though he didn't explore this particular mystical path or Way, much of his creative thought in developmental stage theory is echoed in or corresponds with the ancient glyph of transformation of consciousness -- the Tree of Life, as it appears in ancient Qabala and modern metaphysics. Jewish mystics employ this glyph from the Sephir Yetzirah, or The Book of Formation, for meditation. These kabbalistic practices have generalized into the Western mystery tradition as the practice of magic. The Tree of Life is a consciousness map and fountain-head of most occult arts. Theurgic magic, which aspires toward greater and greater union with Self and Divinity, is a system of exaltive meditation and creative visualization which employs ritual to alter states of consciousness at will in harmony with the cycles of Nature. The Tree of Life depicts the interactive elements of the psyche as well as the archetypal forces of the universe. The 10 Spheres or vortices of this circuit represent the dynamic, interactive balance of archetypal energetic forces within the universe and each psyche, and their corresponding qualities. The 22 paths of "concealed glory" on the Tree (see glyph below) reveal the holistic feedback patterns, the means of transition and interaction between them. 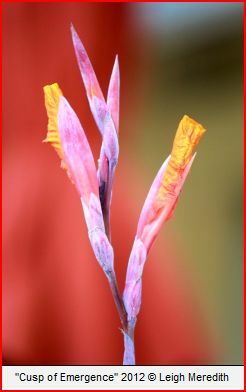 They represent transitional states of consciousness. Gowan's styles of cognition -- prototaxic, parataxic, syntaxic, and unitive states -- correspond with planes of consciousness: physical, astral, causal, and unitive. This Tree is a "ladder of consciousness" which each aspirant may climb toward higher mystic states. The physical biochemical basis of experience is symbolized by the bottom two vortices, which (ala Gowan) we shall call Succession and Emergence. There is a vertical symbolic journey from the ordinary sensory consciousness of physical life (succession) toward the emergent psychic capacities encountered in the trance state (emergence). Traditionally, the bottom sphere represents the Element of Earth, while the trance state is linked through symbolism with the Moon, psychism, and surrealistic "astral" perception which is often bizarre or uncanny. In the traditional correspondences Cognition is linked with Mercury (Differentiation) and balanced by Affect which is associated with Venus (Metamorphosis). They are akin to Will and Imagination, or perhaps the Jungian functions of Thinking and Feeling. One gains not only theoretical knowledge of Self, but also experiential awareness of the imaginal realms--a "virtual reality"-- perceived through the vision of the soul. The dissonance of dysplasia is replaced by a resonating congruence or confluence of both developmental forces. The top-down process meets the bottom-up process at the creative edge. This creates a positive directionality or momentum, an impetus, a facilitation of ecstatic higher states in their emergent or bud form. SUCCESSION = MALKUTH, Sphere 10. Implies the perception of the aspirant that there is a fixed hierarchical order among the developmental processes. There is a continual rise in awareness at each level, and the order of succession is invariant. At this level of awareness (Malkuth), it seems as if the track of development is fixed although there is flexibility in rate and extent of progress. The main degree of freedom lies in the speed at which one chooses to escalate or accelerate along the "path" of development. DISCONTINUITY = YESOD, Sphere 9. Postulates a series of discrete changes in levels of consciousness, much like the locks of a canal. Movement is from pre-rational to rational to trans-rational. Developmental escalation comes from strategically balancing or equilibrating the forces at each discrete jump, much as a clutch does when we shift gears. Additional energy is freed up for the aspirant through increased efficiency. EMERGENCE = HOD, Sphere 8. Shows the debut of new powers characteristic of access to the Astral Plane. They are the prototype of latter abilities which can be relied upon to function at will. First powers appear in tenuous form, and later they are permanent. Pathworking becomes more defined. One no longer follows a dim trail, but a clearly marked Way. Each stage is revealing the characteristics of the next phase in bud-form. DIFFERENTIATION = NETZACH, Sphere 7. Refers to the enhanced focusing and clarifying of concept formation accessible at the Hod-Netzach level of experience; emotional intelligence. Lest we become fixated in habits which prevent further development, a metamorphosis occurs in which there is a sudden switch in emphasis from one stage to another. It is much like an adolescent longing for childhood irresponsibility which transforms into facing the future with a mature, methodical preparation. When we have been successful in one phase of life, the temptation is that we will desire to remain on that level. In other words, we get stuck, and need to transform our hang ups to flow with the grain of natural processes. PSYCHEDELIA = DAATH, The Invisible Sphere. Direct experiential contact with the numinous or divine element, multi-sensory "visionary" state, perceptual synesthesia; complementary images of fullness and void; temporary but profound communion with Nature, God, and Mankind; oceanic and peak experiences. ILLUMINATION = KETHER, Sphere 1. The Unitive state of consciousness. Rising through the planes on the Tree of Life, "climbing" the tree, is a meditational exercise in consciousness-raising. Emergence is an operative principle throughout the vertical "climb" up the Tree of Life. Emergent abilities are first glimpsed, and later stabilized. This aspiration is an instinctual urge to experience higher states of consciousness, and the magical analog of natural escalation and development forcing. We should note that aspirants to this path were always cautioned to have their earthly lives in order before attempting to scale the heights. Just as Jung recommended the path of individuation only for those approaching midlife, masters of the Qabala preferred well-grounded mature students, rarely accepting those under age 30 for advanced training. Further, Rabbi Kaplan (1990) notes, "a person would not attempt to climb a dangerous mountain without the proper training and equipment. Any novice who would attempt a climb without an experienced guide would be courting disaster. Climbing spiritual heights can be equally dangerous. One needs the proper training and mental equipment, as well as an experienced spiritual guide." When climbing the "mystic mountain," balancing the Cognitive and Affective energy centers opens a Middle Way, a transitional mode of consciousness referred to as Art or Temperance. This path leads directly to the central sphere of "Creativity," which radiates integration and magnetically draws us toward individualized consciousness, self-actualization or fulfillment of our unique potential. Such genius has traditionally been called "divine". The emergence of this state as a creative impulse is glimpsed in the parataxic mode, but its fruition comes through the stabilization of syntaxic awareness -- the qabalistic form of Self-realization, which brings a new sense of equilibrium and transmutation. According to Fortune (1935/1984), "consciousness ceases to work in symbolic subconscious representations but apprehends by means of emotional reactions." Mysticism itself is one of the greatest arts, melding aspiration and artistic expression. This well-spring of creativity is the source of Intuition which balances instinct and proprioceptive sensation. In THE TREE OF LIFE, Regardie (1969) states in no uncertain terms that "Genius in itself is caused by or proceeds concomitantly with a spiritual experience of the highest intuitional order." He considered self-discovery and spiritual attainment an evolutionary mandate. Aspiration leads up the Middle Way into the state of Psychedelia or mystic rapture, which includes the possibility of mystic rupture of the protective covering of the ego if forced too far, too soon (Daath, the psychedelic sphere of Knowledge). Again, Rabbi Kaplan notes that, "The further one climbs, however, the more rarefied the atmosphere, and the greater the spiritual danger. By a simple permutation, the word Kether (Crown) becomes Karet, the Hebrew word for excision, where a person is completely cut off spiritually." The dangers alluded to include mental, emotional, moral, and spiritual chaos. In Jewish or occult meditation, when a qabalist enters the mysteries, he or she must parallel the sequence of creation. We first enter the Universe of Chaos with its confusion of transient images; even the Spheres are perceived as disconnected images. But by meditating on and experiencing the traditional paths, relationships become apparent and a sense of integration develops as we realize we are that gestalt of the Tree of Life. This "creation pattern" echoes what we find in experiential therapy sessions where notions of the old self break down in chaos prior to connection with holistic repatterning that heals and reveals an expanded sense of self. The stabilization of the Creative stage ("Beauty," Sphere 6) leads to the ascension of transpersonal values in personality and behavior. So-called normal consciousness can proceed no further, and ego (through this insight) diffuses into an expanded sense of superconsciousness. Though Gowan is vague on this point, the Qabala hints that access to higher mystical states involves the balancing of the qualities of Judgment or Severity (strength, fear, discrimination) with those of Mercy, Love, or Compassion, corresponding respectively with Mars and Jupiter. On a higher octave, it involves the downflowing of grace, a marriage of Understanding (Saturn) and Wisdom (Uranus). This psychedelic state, Daath, is a contact with the macrocosm, the numinous element which results from the twin blessings of Wisdom and Understanding wherein the psychophysical self is "contained", yet expanded and diffused in pure consciousness containing no sensory imagery. It holds the secret of generation and regeneration and the manifestation of all things from No Thing. Psychic energy transcends normal time, space and force constraints. In Qabala, the developmental process culminates in complete absorption in the Unitive state of Kether, the uppermost vortex -- Illumination. Organizational categories, personal and transpersonal, are essential in cultures and science. Gowan was one of the pioneers in the groundwork for transdisciplinary research of superconsciousness. Affective thinking skills form a bridge to higher states of consciousness. A "psychedelic" approach to problem solving amplifies those skills. Gowan felt that a concern for the qualities of exceptional human beings arises from an exceptional concern for human beings. The construct of giftedness as asynchronous development (Columbus Group, 1991) is an attempt to understand the phenomenon through the lens of the gifted Self, rather than from the perspective of society. It highlights the complexity of the individual's thought process, the intensity of sensation, emotion, and imagination, and the extraordinary awareness that results from this fusion. Asynchrony also involves uneven development and feeling out-of-step with societal norms. All of these factors contribute to the vulnerability of the Self. Developmentally advanced and developmentally delayed children are both asynchronous; their development (e.g., cognitive vs. physical development) is markedly uneven, and they are out-of-sync with agemates and expectations of society for their age group. The more they veer in either direction from the norm, the greater the asynchrony, both internally (in terms of the unevenness of their development) and externally (in terms of their ability to fit in with agemates). Cognitive and emotional complexity also vary as a function of the degree of difference from the norm in either direction. Throughout life, some approach their developmental tasks at a faster schedule than others. According to Erikson, mid-adulthood marks a stage where the individual will either remain self-absorbed or turn his focus outward toward society and an interest in leaving a legacy of creativity and productivity. He expresses the challenge as one of intimacy versus isolation. We can infer from Gowan's approach that stable ascent through the syntaxic stage is achieved by embracing a worldview and self-concept based in an underlying unity of all things. The individual experiences universal consciousness as an intrinsic part of the self. Creativity is a byproduct of this reunion which can express as a need to benefit others. Csikszentmihalyi (1990) now calls it "flow." Individuality is not essentially different from Jung's individuation process, a unique pattern that leads the Self to find its own path. Creative people also create problems to solve. The whole purpose of the first half of the creative process is to investigate, discover and discern the operating mechanics, cybernetic connections, and principles of self-organization of the existing system, in order to act upon the system with intelligence. Or at least envision a new system that produces different conditions more in line with our vision. Erikson describes a stage of the choice between stagnation and generativity. Moving from the obsessions of the ego toward free communication with universal consciousness, the Self becomes the embodiment of wisdom, which is a capacity to navigate the pragmatics of life, successfully. Having built a stable ego structure, one systematically dismantles it as the enlarged Self concept is integrated in Erikson final stage of integrity vs. despair. Haas concludes that, "It may be possible for individuals to become highly aware of and adept at controlling the physical and spiritual forces within themselves and in their relation to nature through a more “enlightened” intuitive process. This would not necessarily be through ESP‑like powers or precognitive abilities involving a special type of psi‑like force, but rather through a heightened ability to be more aware of and tuned to their own and others’ cognitive and emotional states." But What Are Subtle Energies? of the four known forces operating in the physical universe. One known potential, the magnetic vector potential, appears to play the role of "bridge" between the subtle, unobservable energies and physically observable energies associated with electric and magnetic fields. Dean Radin (2006) has explored the concept of psi as "entangled minds". He covers a wide variety of theories of psi. Perhaps just as interesting as any plausible explanations, is the primal exposure to psi that first riveted so many scientists to the subject matter early in their careers. Each illustrates Gowan's premise in their lives which embody the quest for the great unknown. Unusual acts of artistic and scientific creativity - associated in the popular mind with the concept of "genius" - do not have a satisfactory explanation in terms of the cerebral or mental processes of individuals. The 'genius hypothesis' suggests that such acts of creativity involve an interaction between the mind of the creative individual and other minds, bent on similar creative endeavors. The interaction envisaged in the hypothesis relies on the spontaneous transmission of the crucial Einfall that catalyzes the creative acts. Following the presentation of pertinent evidence culled from the fields of cultural development, scientific discovery and artistic production, the mechanism of transference is illustrated with the analogy of networked computers. It is also shown to shed light on what Jung called 'archetypal experience.' The phenomenon of instantaneous spatiotemporal connectivity is not limited to human brain-minds but has counterparts in quantum physics and evolutionary biology. Spontaneous interconnections among human brain-minds are instances of the close connections that link phenomena in many domains of investigation. The presence of such interconnections in humans means that individuals are not isolated information-processing systems. They are open to the world not only through the bodily sense organs, but through distance information processing capacities in their brain. This notion is part of the great esoteric traditions of both East and West. It is also a cornerstone of the intellectual current Aldous Huxley named the perennial philosophy. The analogous insight crops up in modern psychology and psychotherapy. Analogous insight also crops up in physics, and can be seen in the relationship of psychologist Carl Jung and Wolfgang Pauli, as described by his fellow physicists. Jung and Pauli are both examples of transdisciplinary genius. You might also say they exemplified Radin's "entangled minds". Their collaboration produced the theory of synchronicity, acausal relatedness, with the holistic notion that psyche and matter are one. There is a wide spectrum of extraordinary human potential. Taxonomies of such states help us classify and categorize such experiences and phenomena. Different dimensions can be described in terms of level of arousal, absorption, ego-self axis, and numerous other parameters. It can be useful in field work and clinical work, as well as in digesting personal experiences. Tests for development along such scales can be done, reflecting certain cross-cultural characteristic traits and experiences. Modern physics and subtle realms are not mutually exclusive. Scientist, philosophers, and mystics are searching fundamental energy and particles to explain ultimate reality. Anomalies have a role in scientific exploration, by bringing attention to the gaps in knowledge. Some of them are eagerly researched, while others are approached with suspicion, if not denial of their existence. We can reframe our notion of the supernatural: certain phenomena are (or appear to be) incompatible with the standard model of reality. Anomalous events are in no way limited by that and penetrate our lives in nonlocal, nonhierarchical, and nonlinear ways. All disciplines find anomalies troublesome, because they challenge our model of reality. Maps of consciousness provide a useful means for orientation and discussion of altered states of consciousness and nonordinary events, as well as the developmental process. Such maps are most useful across disciplines or fields of investigation, providing common language and reference points within the overall potential of the process of extraordinary human actualization, an ecology of human mind and matter. This is one direction that a loosely affiliated group of scholars in fields including biology, anthropology, physics and psychology are working on. Since Gowan's era, physics has met biology with exciting research that spans a broad range of topics and scales. Its scope includes physical probes and imaging, bionanotechnology, molecular machinery, cytoskeletal mechanics, signalling, control, neural systems, development, evolution and ecology. What is this process / goal we seek? The ancient alchemists said it has the immense and immortal power to change everything that we have known as truth and perfection into a greater scope. It is called transmutation. In this complicated process, feelings and thoughts are separated from quintessence. Then enflamment, the "fire" of exercise and expression (physical, artistic, and spiritual exercises) is lit. This matter is volatized with air (thoughts of higher things) that lifts the fire higher. "Blessed" water (the panacea) adds the feeling (affect) to upliftment that is embodied as the salt of the earth, or true nature, described as the Philosopher's Stone. conquest of his potentials and his future; it is especially the complete liberation of his will, that will give him the absolute rulership over the Azoth and the realm of magnetism, that is the absolute power over the universal magnetic force”. The interface of psyche and matter is that point where psyche matters. In finding meaning and expressing that meaning we exalt our humanity in our individuation. So, have you yourself ever had an encounter with something weird or an experience that you couldn't explain? Have you extracted the philosophical gold from such X-Events or "extreme events"? Even while we continue unpacking the multidimensional meaning of nonordinary experiences and articulating that phenomenology as best we can, they continue working within us doing their transformative work. Some of these changes correspond to well-understood phenomena in cognitive psychology, while others appear as unusual or anomalous properties of consciousness. to the transformative influence of consciousness and eventually expand its range of reflection to encompass all of reality in “self realization”. We can see how this neurological opening occurs particularly in the states of “presence” found in artistic inspiration and cultivated in healing and spiritual practices. Intelligent insight from universal consciousness in these creative openings successively frees the cognitive/somatic ego system from layers upon layers of repressed traumatic distortions, rigid cognitive beliefs, and survival conditioning. Then we can eventually see beyond the core self-identity representations, and personal history directing attention to reveal our true identity as awareness itself. In the expanded reflective capacity of meditation or peak experience or advanced spiritual development we can experience ourselves directly as the loving consciousness forming the structure all around us. The root of everything is consciousness. Gowan's integrative model of spiritual engagement, (lived experience of internal and external unity), is invaluable for navigating the universe of meanings with his "unified" theories of human development and psychic phenomena". Symbols are the currency of consciousness. They open the way for "ultraculture", wherein we become conscious co-creators of reality. test for directions on scoring and interpreting your results. We all have the potential for being creative and even extraordinary human beings, yet many of us never develop this capacity fully, due to a variety of blocks. When we see the creativity of others, we may often wonder how we can tap our own creative potential. Psychologists have been trying for years to determine what distinguishes the creative personality from the population at large. Being scientists, they have devised means for categorizing and measuring these distinctions. Some of the most interesting work along these lines has been conducted by Piaget, Erikson, Maslow, Arieti, Tart, and John Gowan. Gowan synthesized the best research on consciousness and development toward self-actualization, which Maslow defined as the manifesting of one's potential capabilities. However, it is more thoroughly described as a process/goal with operations on three distinct levels: 1). the creative; 2). the psychedelic, and 3). the illuminative. Those in whom this process is stabilized, rather than merely emergent, are termed self-actualized. In the perennial philosophy this process is known as Self-Realization, a living connection with the creative inspiration of the higher Self, which Plato called the Daemon or genius. Gowan reworked several standard evaluation tests to determine levels of mental and emotional health in graduate candidates. Because the scale extends beyond the traits of healthy adult adjustment, it also is an objective measure of some aspects of spirituality. He reasoned that not fostering these extraordinary traits and transcendent experiences concurrent with the adult tasks of career and family building is roughly equivalent to lack of sexual maturation in an adolescent. The strong ego, fearing loss of control, may be reluctant to enter the soul-revealing stages of psychedelia. More recently these creative and transpersonal qualities have been compared on a par with I.Q. as E.Q. (Emotional Quotient) and S.Q. (Spiritual Quotient). Gowan emphasized that when the opposites of cognitive and emotional development keep pace with one another, a more balanced individual emerges. This balance is reflected in both inner and outer life. This test will help you understand where you are in your personal individuation, what is blocking you, and what developmental tasks remain as options for further exploration and development. Atmanspacher and Primas, 1997, The Hidden Side of Wolkang Pauli:An Eminent Physicist's Extraordinary Encounter With Depth Psychology, Journal of Scientijic Exploration, Vol. 1 1 , No. 3, pp. 369-386, 1997. Columbus Group. (1991, July). Unpublished transcript of the meeting of the Columbus Group, Columbus, OH. Csikszentmihalyi, M. (1990). Flow: The psychology of optimal experience. New York: Harper. DeRopp, R.S., THE MASTER GAME GAME, New York: Dell Publishing Co., 1968. Erikson, E., CHILDHOOD AND SOCIETY, New York, Norton, 1963. Fortune, Dion, THE MYSTICAL QABALAH, York Beach, Maine: Samuel Weiser, Inc. 1984. 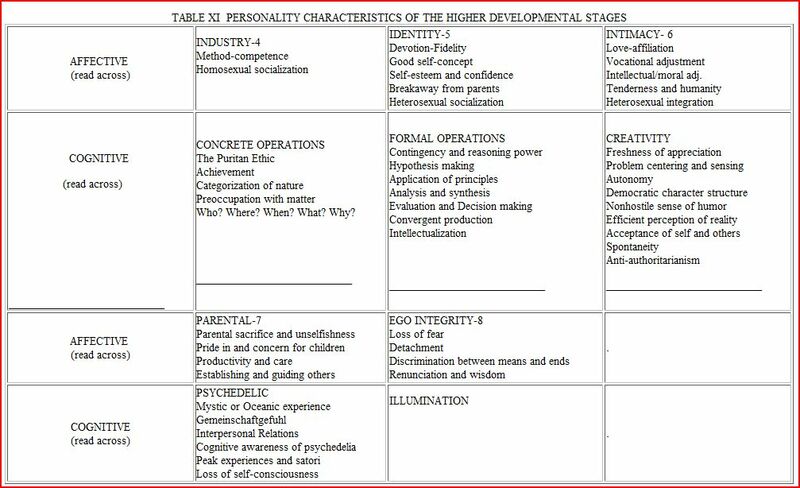 Friedman, Harris, Krippner, Stanley, Reibel, Linda, Johnson, Chad (2010), Transpersonal and Other Models of Spiritual Development, IJTS Volume 29(1), 2010. Gowan, J.C., THE DEVELOPMENT OF THE CREATIVE INDIVIDUAL, R. Knapp, San Diego, 1972. Gowan, J.C. DEVELOPMENT OF THE PSYCHEDELIC INDIVIDUAL, J.A Gowan, Brooktondale, NY, 1974. Gowan, J. C. (1980). Issues on the guidance of gifted and creative children. In J. C. Gowan, G. D. Demos, & C. J. Kokaska (Eds. ), The guidance of exceptional children (2nd ed., pp. 66-70). New York: Longman. Grove, David, Resolving Traumatic Memories: Metaphors and Symbols in Psychotherapy, Irvington Pub; Har/Cas edition (March 1989). Haas, Alan, 2011, "On a Physical Scientific Approach to Transpersonal Psychology", International Journal of Transpersonal Psychology 30(1-2), pg 72. Herrmann, Ned, The Creative Brain, Plume; First Edition edition (October 31, 2006). Jacobi, Jolande, COMPLEX, ARCHETYPE, AND SYMBOL IN THE PSYCHOLOGY OF C.G. JUNG, Princeton University Press, 1959. Kaplan, Aryeh, SEPHIR YETZIRAH: THE BOOK OF CREATION, York Beach, Maine: Samuel Weiser, Inc., 1990. Krippner, S. CREATIVITY AND PSYCHIC PHENOMENA, Gifted Child Quarterly, 7:51-61, 1963. Krippner, S., "The Psychedelic Artist," In PSYCHEDELIC ART by Masters and Houston, New York; Grove Press, 1968. Krippner, S. "The Psychedelic State, The Hypnotic Trance, and Creative Act." In ALTERED STATES OF CONSCIOUSNESS,, C. Tart, New York, Wiley, 1969. Kubie, L. NEUROTIC DISTORTION OF THE CREATIVE PROCESS, Lawrence: University of Kansas Press, 1958. Maslow, A. MOTIVATION AND PERSONALITY, New York: Harper Brothers, 1954. Maslow, A. TOWARD A PSYCHOLOGY OF BEING, Princeton: D. Van Nostrand, 1962. Maslow, A. MOTIVATION AND PERSONALITY, New York, Harper and Row, 1970. Maslow, A. THE FARTHER REACHES OF HUMAN NATURE, New York: Viking, 1971. Masters, R. and Jean Houston, THE VARIETIES OF PSYCHEDELIC EXPERIENCE, New York: Holt, Rinehart, & Winston, 1966. Mead, Nathaniel, "Natural Health" (Nov/Dec 1993) as reported in Utne Reader, March/April, 1994. p.26. Morelock, M. J. (in press). The child of extraordinarily high IQ from a Vygotskian perspective. In R. C. Friedman & B. Shore (Eds. ), Talents within.' 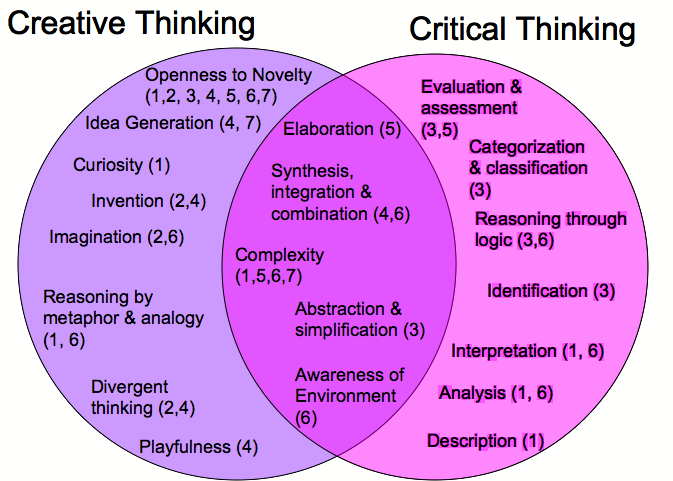 Cognitive and developmental aspects. Washington, DC: American Psychological Association. Neumann, E. ART AND THE CREATIVE UNCONSCIOUS. Princeton University Press, 1959. Neumann, Erich. THE ORIGINS AND HISTORY OF CONSCIOUSNESS. New York: Pantheon Books, 1964. Piaget, J. THE PSYCHOLOGY OF INTELLIGENCE. London: Routledge and Kegan Paul, 1950. Radin, Dean (2006), Entangled Minds, Pocket Books. Regardie, Israel. THE TREE OF LIFE. New York: Samuel Weiser, 1969. Rogers, Carl. CLIENT CENTERED THERAPY. Boston: Houghton Mifflin, 1951. Richards, Cara, 2003, Problems Reporting Anomalous Observations in Anthropology, Journal of Scientific Exploration, Vol. 17, No. 1, pp. 5–18. Roeper, A. (1991). Gifted adults: Their characteristics and emotions. Advanced Development, 3, 85-98. Rogers, Carl. ON BECOMING A PERSON. Boston: Houghton Mifflin, 1961. Sacks, Oliver, Altered States: Self-experiments in chemistry, The New Yorker, August 27, 2012. Shostrom, E.L. "A test for the measurement of self-actualization." EDUCATIONAL AND PSYCHOLOGICAL MEASUREMENT, 23, 207-218, 1965. Shostrum, E.L. MANUAL FOR THE PERSONALITY ORIENTATION INVENTORY. San Diego, Calif: Educational and Industrial Testing Service, 1966. Silverman, Linda Kreger. "Through the lens of giftedness. " Roeper Review. 20.n3 (Feb 1998): 204(7). Stace, W.D. MYSTICISM AND PHILOSOPHY. New York: Lippincott, 1960. Stace, W. T. THE TEACHINGS OF THE MYSTICS. New York, Mentor, 1960. Sullivan, H. S. THE INTERPERSONAL THEORY OF PSYCHIATRY. New York: W.W. Norton, 1953. Tart, C. ALTERED STATES OF CONSCIOUSNESS. New York: Wiley and Sons, 1969. Tart, C.T. 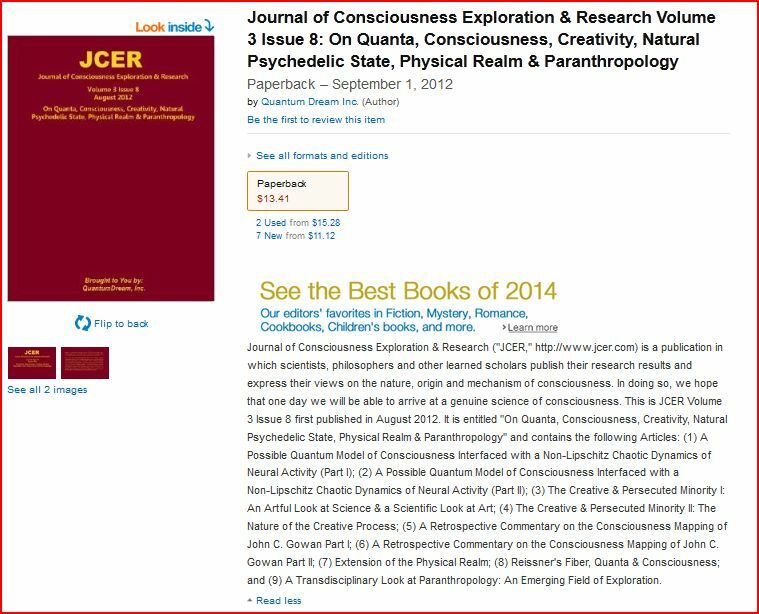 "Scientific Foundation for the Study of Altered States of Consciousness," JOURNAL OF TRANSPERSONAL PSYCHOLOGY. 3:93-124, 1971. Tiller, William, et al, 2001, Conscious Acts of Creation: the Emergence of a New Physics, Pavior Publishing. Torda, Clara, "LSD USERS STRUCTURE." NEW YORK STATE JOURNAL OF MEDICINE, 69:16:2243-7, 1969. Also APA Abstracts 44:20915, 1970. Troward, Th. THE EDINBURGH LECTURES ON MENTAL SCIENCE, New York: Robert McBride and Co. 1909. Washburn, Michael, Ego and the Dynamic Ground, SUNY Press, New York, 1988..
AWAKEN YOUR GENIUS: These attributes or qualities of the Infinite emanate out from a center that is everywhere and nowhere or Nothing. You can imagine it as the unbound Zero Point Energy of subspace beyond energy/matter. Everything in existence comes from this groundstate, the blueprint of creation. Everything and nothingness emanates in all directions to a circumference both everywhere and finite. We can tap this NEGENTROPY with the Power of Insight and self-expression. It is the wellspring of creativity. PERPETUAL MOTION: This process sustains our mindbodies and works for us even better when we tap into it consciously each day for refreshment and renewal. This creative spirit is constantly in motion and a manifestation of our sacred inwardness, attributes of our personal genius, the self or essence, authentic spirit. If we have fallen into self-estrangement from perfection, it is into narcissism or false ego. The past is behind ego; the future is in front of ego. Your future is a process, not a destination. Self as mindfulness, is always here NOW. Your own interior space is the labyrinth of transformation. SOURCE: Each day we can feed on or absorb the qualities of authentic genius. We call a person a genius who manifests exemplary humanness at its most creative, who is in tune with the times or zeitgeist. We may not "be" a genius", but we each "have" potential genius within us. The influence of primordial genius transcends time and space. We seek it in the Abyss of our primordial selves. What is best and oldest within us transcends creation, where the self begins. Art is itself Nature, and the art of being fully human means expanding our consciousness beyond mere personality. SUSTENANCE: To absorb means to take something in as through the pores or every atom of the body, to engross our full attention or energy, or to assimilate fully. We are a conduit or transformer of the unmanifest to the manifest. This is the deep nature of our embodiment, augmenting ourselves as we move from the past to the future. Fierce originality is a quality of self-actualization. Genius is a mystery of consciousness that arises in the individual imagination whenever it appears. Our genius is our inclination, natural gift or inborn imaginative power. Genius recognizes itself. Genius has no limits. ANCHOR GENIUS: If a practice augments our consciousness -- intensifies, clarifies, activates or widens our awareness --why wouldn't we use it? All generic forms of meditation, visualization and active imagination do this if we but use them. We can imagine our thumb is Infinite Oneness and attribute the other elements to our fingers in no particular order. This allows us to create simple ANCHORS in the receptive state as cues we can 'fire off' by touching thumb and fingers together to potentiate and manifest each quality with appreciation and gratitude. UNBOUND SELF: This is an instant signal to the mindbody which can be reinforced each day, reminding us to let the energies of Oneness, Peace, Love, Bounty and Health flow through us unobstructed. This is the apprehension of our own genius, our inmost creative spirit. This is what we mean by Self-Reliance -- relying on the greater self, rather than the mediocrity of our narcissistic egos. Self is the primordial I AM of Being, as fundamental as inhalation and exhalation. Our lives are defined by their limitations and the strategies we use to cope with and overcome them. FLOW: Genius embodies powers greater than our own for no one can ever embody at once all the potential qualities of archetypal Self. But we can become extraordinary by transforming our character like carving a diamond from the rough. The self expresses the unity of the personality as a Whole, our holistic organism. The unconscious, including the mindbody and energy body, is the medium from which the sacred Source flows forth. EXPANDED SELF: The self is the whole range of psychic phenomena, a psychic organ of perception. The self is transcendent, a center between conscious and unconscious, because it points to an unlimited future and unbound creative expansion of the evolutionary process. It signifies the harmony and balance of various opposing forces. Symbols of the self can be anything the ego recognizes as a greater totality than itself: the androgyne, the diamond body, the flower of life. HUMAN SURVIVAL TECHNOLOGY: Why settle for mediocrity. Genius is in us all, awaiting discovery. We can touch the truly sublime if we but turn our attention receptively in that direction. Talent is a gift; genius is a given ~ but you must claim it to make it yours. Technological development will likely make lots of things quite unexpectedly different quite unexpectedly soon. We are moving toward sweeping transformation, a transhuman era, in which Bio-art extends our perceptions and enhances us with Superlative State Technology available on demand. Emerging technologies will allow people to control their experience of trust, love, lust, jealousy, loyalty, fear, aggression and hatred. How can we preserve human choice and freedom in a world where people can change their own desires and motivations? But why wait? Soft technologies, meditation and process therapy, are available now. Jumpstart your meaningful process and prepare for your own evolution.